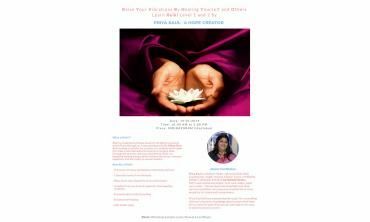 Priya Kaul is an award-winning and certified Spiritual Healer and Coach. 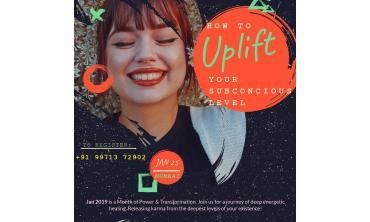 Her dream is to make people aware of their own powers and to make them strong enough to win over any challenge in life. Her mission is to ensure that a healer is present in every family so that there is more practice of our ancient healing techniques. She wants people to understand and follow the spiritual path. She has been working towards creating awareness about holistic healing and therapies for a long time. She believes that healing modalities have powers way beyond the allopathic treatments and should be the first resort for anyone. 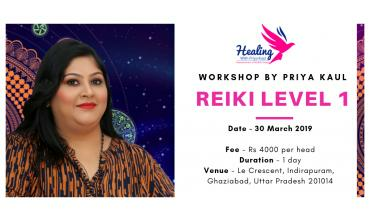 Reiki Leve 1 is the basic level of Reiki. This level of healing makes you a self-healer. You learn to work with your hands to channelize energy. Highlights of th. . . 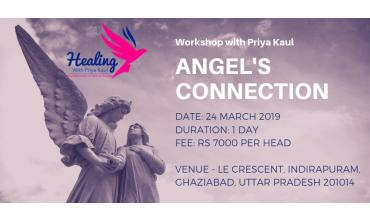 This course will tell you about Angels Connection. Course details: Introduction to angels and archangels How to . . .
Do you find yourself struggling with circumstances and people around? You feel out of balance but don’t know how to get back in. . .
"I am connected with Priya Mam since 1.5 years. I have done Reiki and Angel Healing course with her. An ocean of knowledge and a True master. She is always there whenever I need her Guidance. 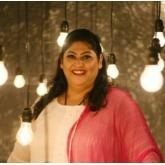 Thank You My Magician :)"
"I am in contact with Priya mam since 1 year I have seen her post and video and then I contact to her I told her my problem and she helped me out she is my angel. And I truly believe her"
"Gratitude Priya Di, she is wonderful teacher and person, my life totally changed after met with Priya Di, I learn reiki level 1 & 2 and Angels 1&2 from Priya Di. Now I am doing very good in my life and as well as others also. Want to learn more and more from Priya Ji under her guidance. Thank you so much for your guidance and support. %uD83D%uDE4F"
"Gratitude to Priya mam for her guidance and support ..she's just a perfect mentor ..I learned angel card reading and angel board from her..no doubt her teachings are apt and spot on..she's an angel..she doesn't leave a single stone unturned for her student ..only bcoz of Priya mam my life has changed ..and thanks to Priya mam...loads of love!!" "My experience has been truly awesome with Priya Kaul. My problems have been solved smoothly. I feel blessed to have been in touch with her. She has filled my life with positivity. " "Well, i have been in touch with Priya Di since January 2018. Get connected to her was a just a coincidence but then walking along with her was a fortune for me. I am very thankful for her for bringing changes in my life. I have attented Reiki , MTHS , Angels workshop of her. She is just amazing. The way she makes us aware of things is just wonderful." "Priya ma'am , She is simply amazing in her work with great positivity and motivation towards better life and living. So ground to earth personality , full of positive Vibes and love for everyone. Her smile is infectious. God bless her %uD83D%uDC95"